The Datejust is one the foundations upon which Rolex’s success is built. 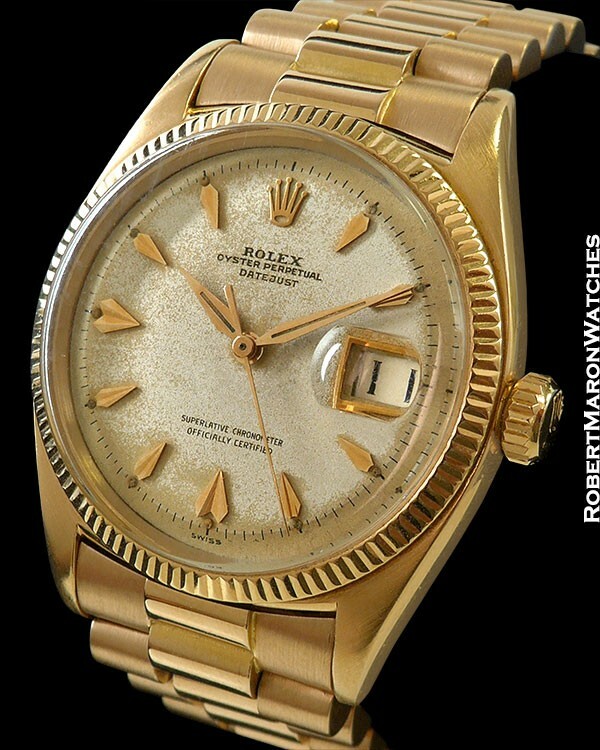 This reference 6605 Datejust is VERY rare in 18k rose gold and is from 1958. The date wheel is “Roulette” style and alternates between black for the odd numbers and red for the even numbers. Original 18k rose gold (or pink gold if you prefer) case measures 35mm diameter by 12mm thick. Original 18k rose gold fluted bezel. Original screw down crown is operating perfectly. The crystal is plastic and clean. 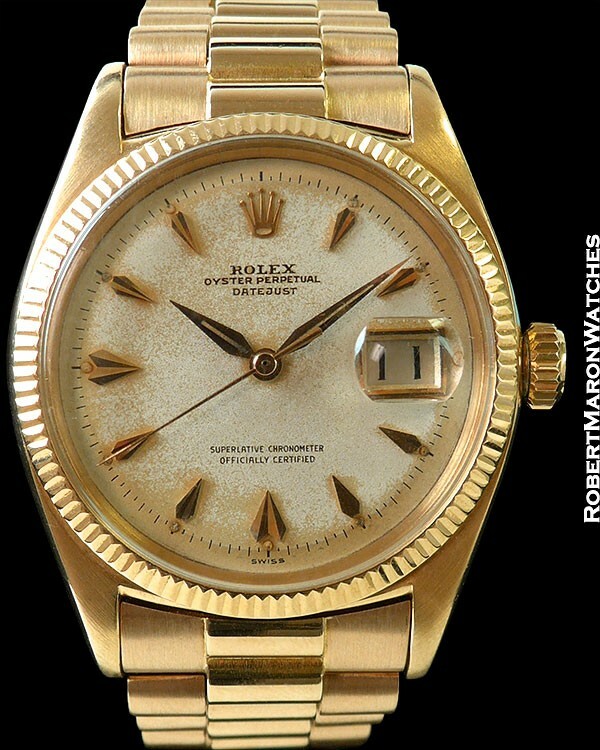 Interestingly, the reference 6605 was the first Datejust (and first Rolex watch, for that matter) to be delivered with the famous “Cyclops” lens built into the crystal, over the date display. Original silver dial with patina and applied rose gold indices and original rose gold hands. Date window is framed in gold. This is a wonderfully attractive dial. Original automatic winding Rolex Caliber 1065 with 25 jewels, adjusted to 5 positions and temperature, and is a C.O.S.C. Certified Chronometer. Rolex 18k rose gold President bracelet with invisible clasp.